#INTERVIEW Yogi talks being a producer, Skrillex and more! #INTERVIEW Yogi talks musical journey, Skrillex and more! With his single ‘Baby’ finally released, Link Up TV talks to producer Yogi about his musical journey, hanging with Dr. Dre and what the rest of 2018 holds for him. I Started DJ’ing in clubs like The Hippodrome at the age of 14, back in the Garage days when there was Pas As You Go, Spoonie and Oxide Neutrino. At 18-19 once I’d finished school, I didn’t want to DJ any more. I wanted to know more about the production side so I could put some records out. I was introduced to an engineer who was working on the ‘Rishy Rich Project‘ which involved the likes of Jay Sean and Juggy D. I would meet them in the studio and would get tips on how to get music out. I would go home and make beats and from there, I met my manager who I went to university with. He would send my beats to different artists which helped to build contacts, and my first few tracks were with the likes of Bashy (When The Sky Falls) and Professor Green (Falling Down). You had two huge deals with Aftermath Entertainment and OWSLA. How did they come about? My manager took my beats to Twin B and he passed it on the likes of Richard Antwi who told Wretch 32 to jump on my beats and this is how we made Traktor (Traktor landed at number 5 in the UK Singles Chart). From there, I made a good relationship with Twin and Richard Antwi, who brought me to EMI. I then joined up with another management company (ATM Artists) who passed my music onto Dave Rene who is an A&R at Interscope Records and the co-founder Jimmy Iovine. I signed my first production deal at Interscope Records and my songs were passed on to Dr. Dre and Skrillex. Dre signed me on a production deal to Aftermath and Skrillex signed me on an artist deal to his label OWSLA. What was it like to be with Dr. Dre and Skrillex? 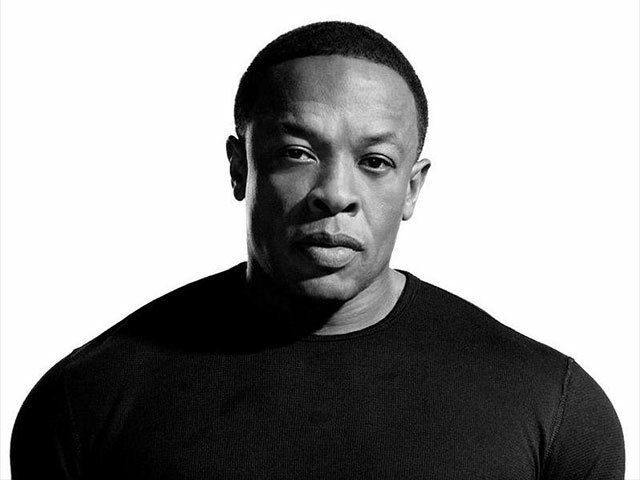 Dr. Dre was someone I looked up to heavily and someone I’ve always wanted to work with. I used to constantly listen to The Chronic album as a kid, so to get the chance to work with him was a dream come true. We even watched basketball with him, he’s mad cool and to be in conversation with him was just mind-blowing. Being with Skrillex is crazy. In L.A., its mad. I was driving around with him, and people everywhere would just stop to chat to him… being around that was weird. Even sitting down and having tea with Jimmy Iovine, you never think of that happening but its a big thing. Spotify summarised your 2017 and you were played in 61 countries across the globe. How does that feel? That’s crazy. I never thought of it like that but its amazing. The main goal is to be played here in England. To come back to London and re-connect here and be part of a movement. That’s the most important thing for me right now. Your single ‘Baby’ features Maleek Berry, Ray BLK and Kid Ink. Could you tell us a bit more about that? The sample of the track comes from Julio Bashmore’s ‘Au Seve’. We flipped that and wanted to change it into a bashment riddim. When I got Maleek on the record, he gave it that vibe we were looking for. Having Ray BLK on Baby brought the track back to London and made the song English. Kid Ink is the flavour of L.A. I wanted an L.A perspective on the track too. We’re nearly halfway through this year, so what does the rest of 2018 hold for you? More music. To come with a body of work which I can stand behind. Baby is the first track off an album I’m currently working on. The concept of the project is to have artists come together from London and L.A and blending their work together. I want a whole project dedicated to that. My perspective from living here and living out there too. London, the food here is much better. We have Nandos, there’s no Nandos out there!. Sushi is good in L.A. but we have everything else. All my friends are here too. Next: 6IXVI is releasing ‘Chosen’ mixtape this Friday!